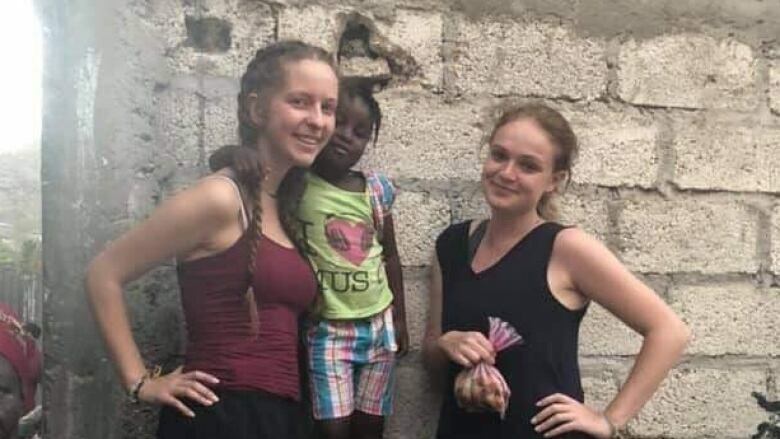 Two young Charlottetown women volunteering at an orphanage in Haiti say they do not want to leave the troubled Caribbean country until their work is complete. Paige Biggley and Lilly Gillespie, both 18, are among a group teaching English at an orphanage in Saint-Marc, about a two-hour drive from capital city Port-au-Prince. 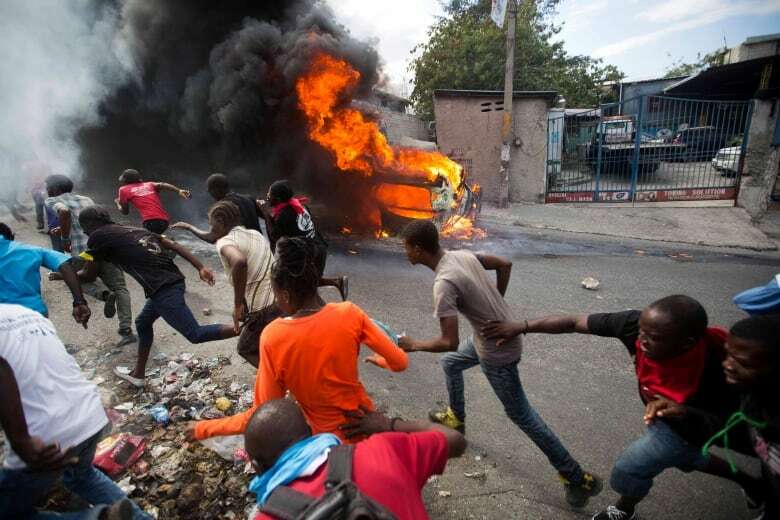 Some Canadians have left Haiti, and others have been trying to leave, amid violent protests over skyrocketing inflation and the government's failure to prosecute embezzlement from a multi-billion dollar Venezuelan program that sent discounted oil to the country. On Tuesday, Global Affairs Canada issued an advisory warning against all non-essential travel to the country. On Thursday, it advised against all travel. The Canadian embassy in Haiti was closed on Wednesday due to the unrest. In a text message to CBC, Biggley said she and Gillespie feel safe at the orphanage and are "awaiting news to see what will happen next." "I am extremely happy here and would be very disappointed if we were forced to leave early due to the political unrest," she wrote. She said they have not come in contact with the protests and are "feeling very safe in the area we are living in." Biggley's father, Joshua, said the safest place for her right now is at the orphanage because she would have to travel to Port-au-Prince, where where most of the violence is happening, in order to leave the country. "She is in the place that she wants to and needs to be," he said. "For her to be so courageous and say, 'Look, I'm not coming home now, even if they wanted me to or even if everyone else leaves' … she is adamant that she is going to stay. So, to me, she is my hero." The two women graduated from Colonel Gray High School in Charlottetown last June. They left for Haiti in January through an international language program based out of Utah. They are due to return in early May. Josh Biggley said, according to his daughter, the protests in Saint-Marc have begun to subside. On Friday, Paige felt it was safe to go into the downtown area, he said. However, she cancelled a planned six-hour drive to Cap-Haï​tien for safety reasons and, due to a gas shortage, she was uncertain she could find fuel along the way. Biggley said the families will continue to keep a close watch on the developments in Haiti. "It's difficult as it is to go into a country like Haiti that has such poverty, and then on top of it to throw the uncertainty of a destabilized government with violent protests and a lack of even the basic resources," he said. "There's always the risk that it could spread outside the capital city region and we have to figure out how to get our girls out of Haiti."